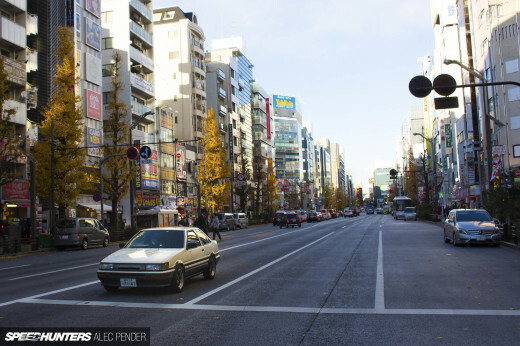 So it's almost 1am on Sunday morning in Japan as I'm writing this. 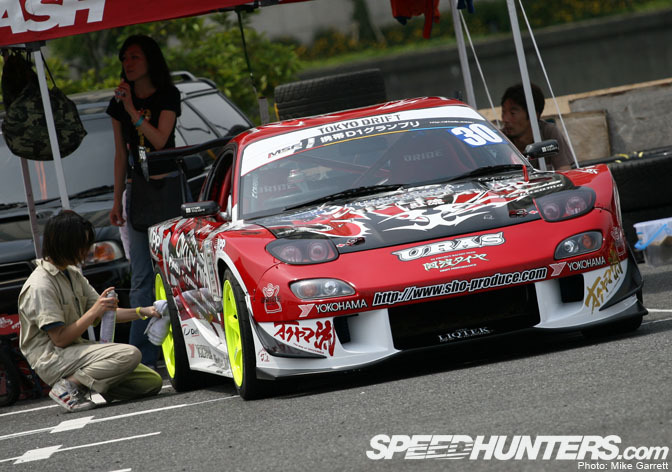 I spent all day Saturday at the D1GP Tokyo Drift exhibition match in Odaiba, and I am exhausted. My skin is sunburnt dark red, my whole body is sore, I'm going on about two hours of sleep, and I'm covered in shredded rubber. Despite all that, I am in a good mood because the event was AWESOME. I'm not going to write anything about it right now, as I need to go to bed so I can get up early and go back tomorrow, but I did take the time to do up a few "teaser" shots from Saturday. Today's forecast is calling for rain. That would usually be a bummer, but with my fried skin I'm actually looking forward to it. 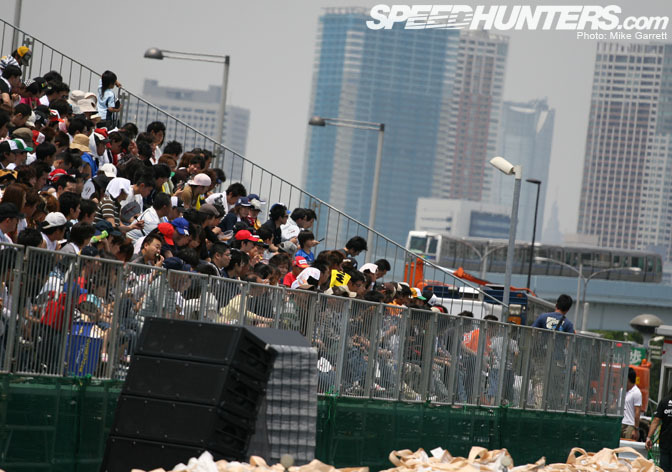 I wonder if day two of D1GP Tokyo Drift will be as crazy as day one? woah woah woah who's SC is that? Damn I cant wait to see some footage of that around the corners. 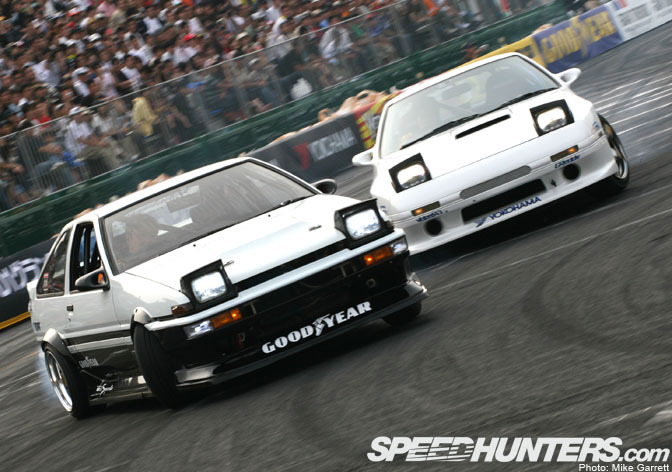 Excellent pics I really like how the 86 and FC still look street, I wish there where more cars like that. 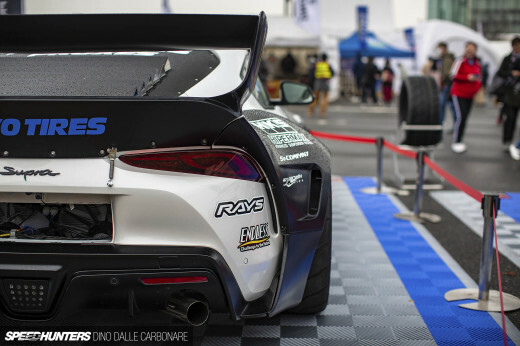 The TOM's SC430 should belong (and correct me if I'm wrong),...to the owner of DRoo-p, and the Luxus should be driven by Toshi "king" Yoshioka.....and I think he retired his AE86. 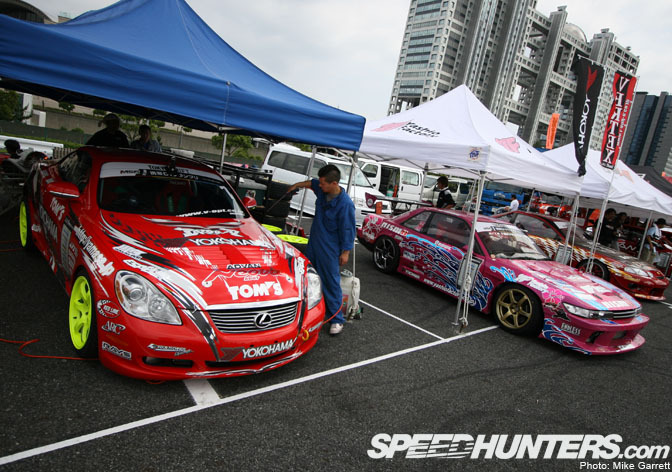 Whoa, can't wait to see more of the SC, Chaser and Uras FD! what the sc's gonna be at vegas. oh man i gotta go. 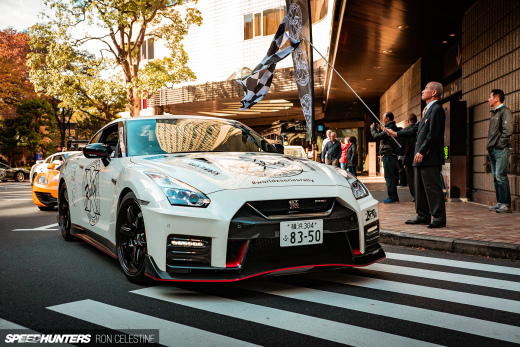 Do you have those photos in a higher resolution, for desktop background purposes? Not a bad day out. But tooooooooo long between the action. 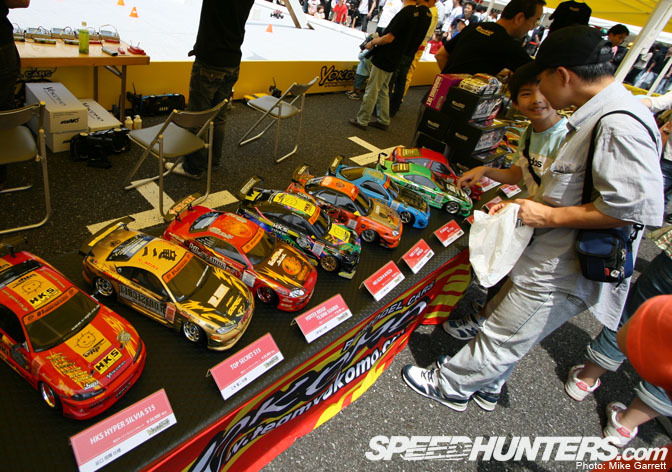 Oh man, where can I get those scale model drifters? They look sweet. 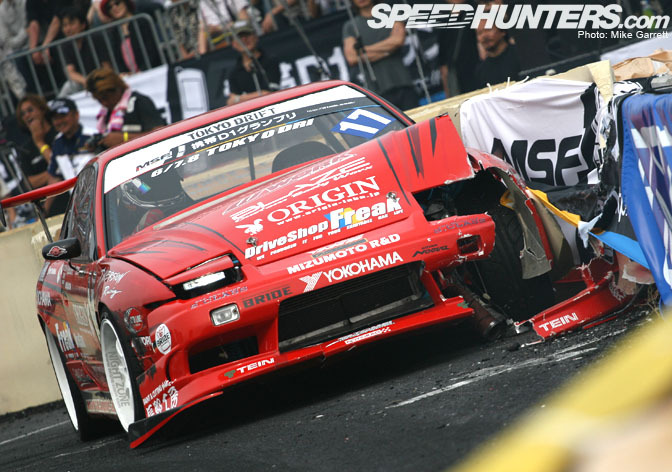 is that Kuroi's S13 in the last picture?